Well endowed Ugandan socialite Zari has clearly clarify the saying, " The way to a man's heart is though his stomach." The socialite has proven to the world that she is a real woman and has the responsibility of doing what she ought to do at her house as a wife and a mother. 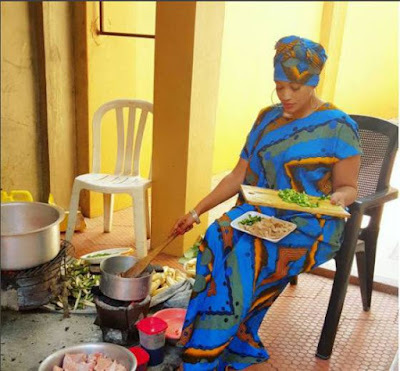 Zari seems to be preparing some Matoke and is not shy to show to the world as she is doing it the 'traditional' way using a Jiko like a real Ugandan woman unlike some of this Nairobi girls who swear not to catch charcoal with claims that the colour will stick on their skins.